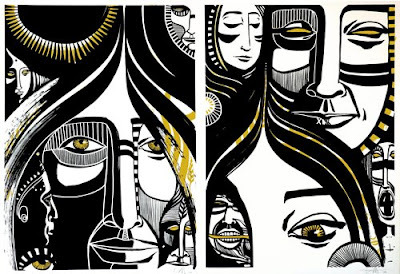 Two new prints released from Studiocromie, featuring the work of Lucy Mclauchlan. Lucy was one of the 15 artists that took part in the FAME Festival organised by Studiocromie over the summer. The two prints are both available in editions of 100 and are 56x76cm, 2 colour screenprints on cotton rag paper.